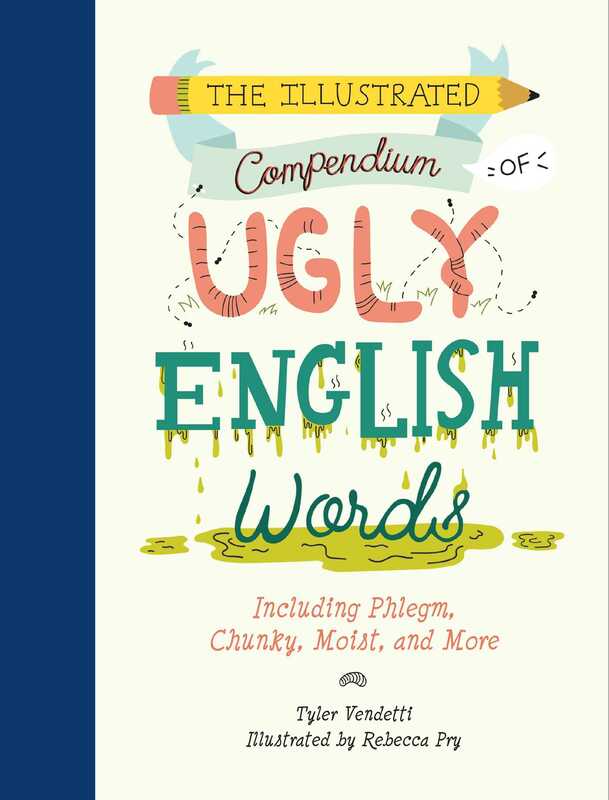 The Illustrated Compendium of Ugly English Words features more than 300 of the ugliest words in the English language, along with their definitions, roots, and (hilarious, gnarly) usage quotes! J. R. R. Tolkien once said that “cellar door” is the most beautiful phrase in the English language; since then it has received quite a bit of attention from poets and linguists. But what of the ugly words? In this delightfully humorous volume, we celebrate the neglected collection of sounds that make speakers and listeners alike gag for some inexplicable reason: the crepusculars, discharges, and ointments of the world. Too long have these words gone unrecognized, nay, shunned from society. No longer! With The Illustrated Compendium of Ugly English Words we finally pay proper homage to these disgusting sounding words. With more than 300 atrociously ugly words, there are bound to be a few that you have never even heard before! The Illustrated Compendium of Ugly English Words not only shows you these words in disgusting detail, it also tells you what they mean! Readers will close this book a little bit smarter (and more revolted) than they were when they picked it up! Like so many great reference books before it, The Illustrated Compendium of Ugly English Words is organized in alphabetical order, beginning with the ugly As and ending with the nasty Zs! Rebecca Pry is an illustrator and designer living in Warwick, New York. She received a BFA in Illustration from Rhode Island School of Design in 2013. Rebecca's art adds a humorous twist to everyday items and scenes, and she has created patterns and graphics for home goods, books, accessories, and apparel. She regularly shows her work in local galleries in the Hudson Valley. When she is not drawing, she is outside in a brightly colored sweater. See more at www.rebeccapry.com.